» Consentono di navigare in modo efficiente da una pagina all’altra del sito Web. » Memorizzano il nome utente e le preferenze inserite. » Consentono di evitare di inserire le stesse informazioni (come nome utente e password) più volte durante la visita. » Misurano l’utilizzo dei servizi da parte degli Utenti, per ottimizzare l’esperienza di navigazione e i servizi stessi. » Presentano informazioni pubblicitarie mirate in funzione degli interessi e del comportamento manifestato dall’Utente durante la navigazione. di funzionalità di terze parti I cookie di questo tipo vengono utilizzati per integrare funzionalità di terze parti nel Sito (ad esempio, moduli per i commenti o icone di social network che consentono ai visitatori di condividere il contenuto del sito). I cookie di questa categoria possono essere inviati dai domini dei siti partner o che comunque offrono le funzionalità presenti nel sito. Gasparetto Engineering Silvano Gasparetto precisa che non è tenuta a richiedere il consenso dell’utente per i cookie tecnici, poiché questi sono strettamente necessari per la fornitura del servizio. Per le altre tipologie di cookie, il consenso può essere espresso dall’Utente, conformemente alla normativa vigente, mediante specifiche configurazioni del browser e di programmi informatici o di dispositivi che siano di facile e chiara utilizzabilità per l’Utente. A tal proposito, Gasparetto Engineering Silvano Gasparetto, Titolare del trattamento, ricorda all’Utente che è possibile modificare le preferenze relative ai cookie in qualsiasi momento. È anche possibile disabilitare in qualsiasi momento i cookie dal browser, ma questa operazione potrebbe impedire all’Utente di utilizzare alcune parti del Sito. Il sito contiene collegamenti ad altri siti Web che dispongono di una propria informativa sulla privacy. Queste informative sulla privacy possono essere diverse da quella adottata da Gasparetto Engineering Silvano Gasparetto, che quindi non risponde per Siti di terze parti. Più che un catalogo di modelli dalle caratteristiche prestabilite, la Gasparetto Engineering fornisce un servizio di progettazione e produzione su misura di macchine per la refrigerazione e la deumidificazione industriale. Questo consente di creare sistemi all’avanguardia dal punto di vista dell’efficienza energetica, pensati tenendo conto delle specifiche esigenze del processo industriale. Visita le voci del menù Deumidificazione industriale per approfondimenti sui settori di applicazione. Nel menù Area didattica troverai alcuni articoli tecnici per l’apprendimento delle nozioni che stanno alla base del controllo dell’umidità dell’aria. 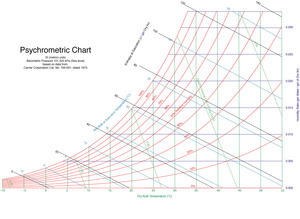 Below we have the full version psychrometric chart. In addition to the saturation curve – that is, relative humidity 100%, namely dew point – we have the various curves of relative humidity, 10 by 10, up to 100%. We’ll now continue the example of the previous chapter, with air at 20°C with 60%. On the vertical line corresponding to the temperature of 20°C, we go up until we reach the 60% HR curve. 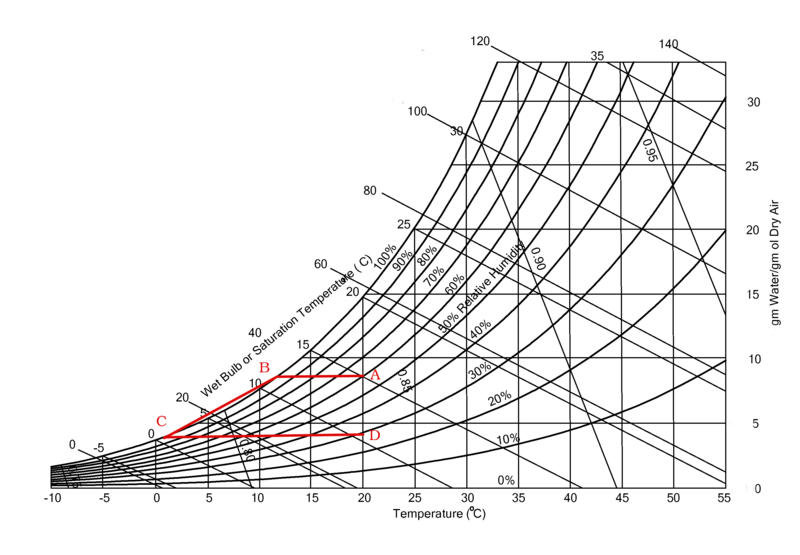 Moving to the right until the end of the diagram we find the absolute humidity vertical line. This give us the information that our air contains 8.77 g of water vapor. We go on cooling the air, until it is +2°C. We see that now our m3 of saturated air, at + 2°C contains 4,384 g of water. We had 8.77, so we removed 4.38g of water vapor. 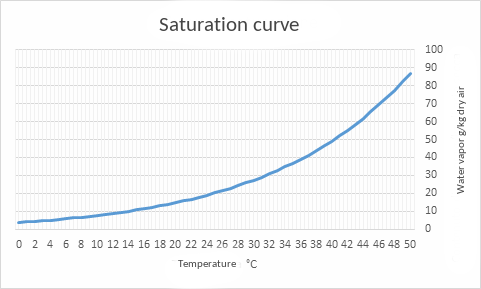 If we go towards left we find the saturation curve, reaching the due point. In the example we have discovered that +20°C air with 60% HR reaches its saturation at +12.01°C (dew point). At this point let’s post-heat our air, bringing it back to +20°C . The air has kept the same absolute humitidy (4,384 g of water vapor), but its relative humidity is now 30.18%. From point A to point B with no dehumidification . From point B to point C cooling and dehumidification . From point C to point D post-heating . 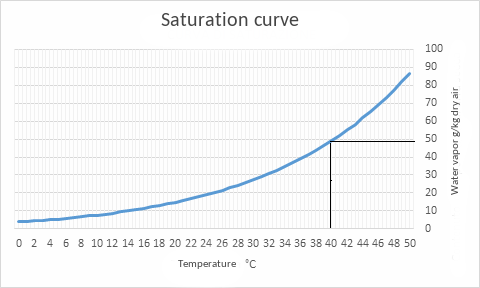 The diagram 1 below indicates, for temperatures from 0°C to +50°C, the maximum amount of water vapor that can be contained by one kg of dry air (saturation curve). That’s also the curve of the 100% relative humidity, also called the curve of dew point temperature. Diagram 2 shows, for air at +40°C, the maximum amount (49.14g) of water vapor. If heat our air from +2°C to + 20°C, the relative humidity will be about 30%, the absolute humidity is 4.384 g/kg . The kilogram of air at +20°C with 60% HR, which contained 8.77 g of water vapor (absolute humidity), is now to +20°C with 30% HR, with 4.384 g/kg of absolute humidity. The absolute humidity is the amount of water vapor contained in a kg of dry air. It does not vary with temperature variations. It can increase only by adding more water vapor in the air, and can decrease only by removing water vapor from the air (dehumidification) . For example, one kg of air at +20°C with 60% HR contains 8.77g of water vapor (absolute humidity). If we cool the air bringing it to +15°C, it will reach 82.29% of relative humidity and 8.77 g/kg of absolute humidity. If we bringing it up to +50°C, relative humidity will be 11.35% and absolute humidity still 8.77 g/kg. The amount of steam that can be contained by a mass of air decreases with decreasing of the temperature. The same way, a temperature decrease has a relative humidity increase as consequence. For example, if we cool a mass of air at 20°C with relative humidity at 60% bringing it to + 19°C, the relative humidity will change to 63.85%. If we cool it to 13°C, the relative humidity will changeto 93.7%. Cooling it to 12.01°C, the relative humidity will reach 100% (saturated air). This temperature is called the dew point. Below this temperature, the water vapor begins to condense. When we take a bottle of cold beer from the refrigerator, this is covered with droplets: it’s the air’s humidity that condenses on the surface of the bottle because the bottle has a temperature below the air’s dew point. In kitchens and bathrooms of bad insulated houses, during cold days, humidity is formed on the walls. This is because the air in those environments is quite humid and, encountering the cold wall, reaches its dew point. In order to prevent the phenomenon it’s possible to raise the temperature of the wall above the air dew point or decrease the dew point of the air below the temperature of the wall (by dehumidifying the air) . Atmospheric air is a mixture of gases composed mainly of nitrogen (78%), oxygen (21%) and water in vapor form, in a variable percentage. The relative humidity (RH) is the ratio between the amount of water vapor contained in an air mass and the maximum amount of water vapor that the same mass of air is able to contain at the same conditions of temperature and pressure . The relative humidity is measured in percentage. If the relative humidity is 100% it means that the mass of air contains the maximum amount of water vapor in those conditions . The air with a relative humidity of 100% is called saturated . If we speak about relative humidity of 50%, it means that the air contains half of the maximum amount of water vapor that could hold at that temperature. If we put water vapor in a saturated air mass (relative humidity 100%), this condensates (liquefies) precipitating in the form of droplets. This section describes the basic principles of dehumidification. The chapters are browsable from the menu on the left. You can read them in sequence as part of a single text, or independently. Paragraph six reviews the arguments of the preceding sections using the psychrometric chart as a tool for a graphical display of the concepts. These notes are intended to those who approach the subject for the first time. I hope experts will forgive me for simplifications and some repetition. Dehumidification takes place by cooling the air below its dew point, thereby condensing part of the water vapor contained in it. I’ll continue the example from the previous chapter: we have a kg of air at +20°C with 60%, which contains 8.77g of water vapor (absolute humidity) . We cool the air up to +12.01°C. Air at this temperature, with 8.77 g/kg of water vapor, is saturated, that is, has a relative humidity of 100%. This is the dew point . We go on cooling, going below the dew point, bringing the air to +11.99°C. The relative humidity remains at 100%, but the absolute humidity has become 8.76 g/kg. We have condensed, transformed from steam to liquid, 0.1 grams of water. We have dehumidified the dry air of 0.1g. We cool it again, this time going a bit more below the dew point, we bring the kg of air down to +2°C . The relative humidity does not change, remaining at 100%, but the absolute humidity reaches 4.384g. We had 8.76, and 8.76 to 4.384 = 4.37. We removed from our kg of air other 4,37 g of water vapor, making condense, or making them liquid . So, to summarize , we started with 1 kg of air at + 20°C with 60%, that is, containing 8.77 g of water vapor and having a dew point of +12.01 and we cooled to to + 2 ° C by removing 4.37 g of water vapor (making it condense). We now 1kg of air at + 2°C saturated (100% RH) containing 4.384 g of water vapor. 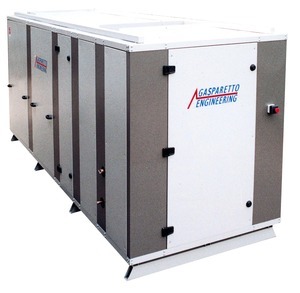 The DCSH industrial dehumidifiers, producted by Gasparetto Engineering, are direct-expansion stand alone machines. 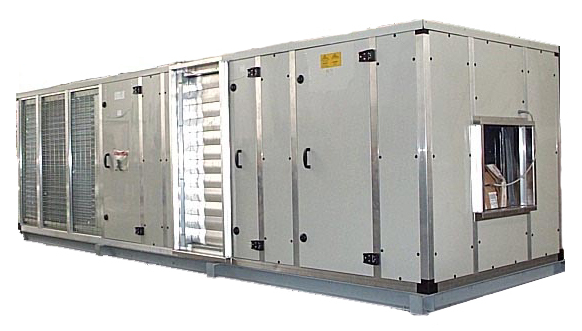 The packaged units provides functions of heating, summer air conditioning and dehumidification. 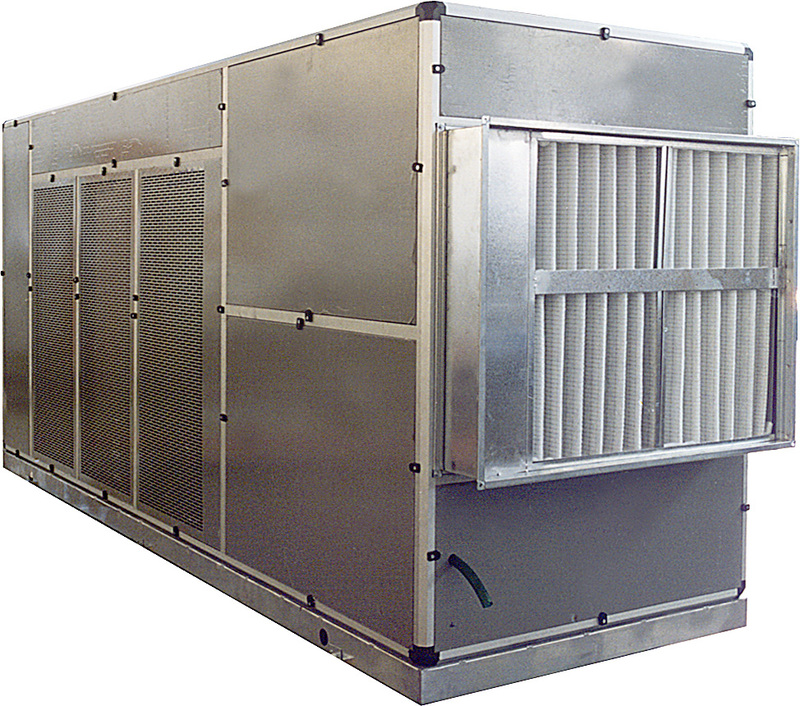 They are suitable for environments that require special conditions of humidity, difficult to achieve with standard machines. The DCSH is used in environments where there is processing and storage of powders or other hygroscopic materials, such as in chemical, pharmaceutical, food processing, detergent production . The DCSH industrial dehumidifiers are customly designed; our technician works with the client to identify the real needs and study together the best solution. We can help you to solve the problem. 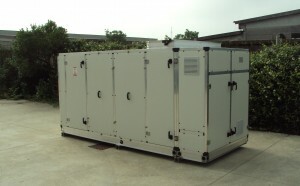 The DCEA serie heat-pump industrial dehumidifiers are used for low temperature drying processes. In the food drying context this ensures a better color’s retention and product’s fragrance. The use of heat pump ensures high energy efficiency and the ability to customly configure the oven’s temperature. 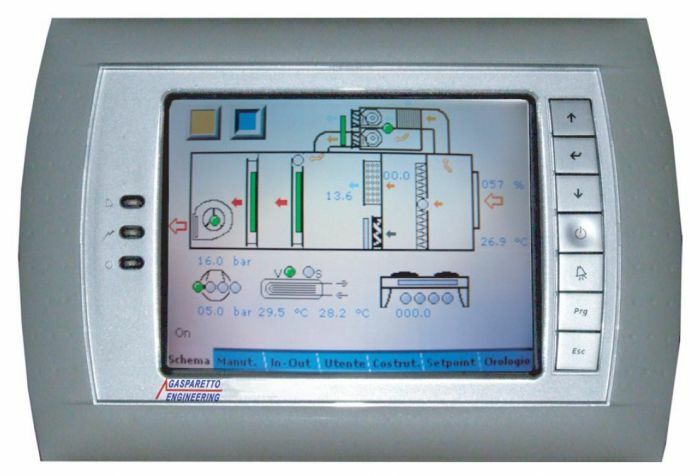 DCEA dehumidifiers are often used within heat treatment industrial furnaces, with the advantage of allowing an extremely precise control of the air process’ conditions. Gasparetto Engineering designs and manufactures heat pump dehumidifiers for seasoning timber. 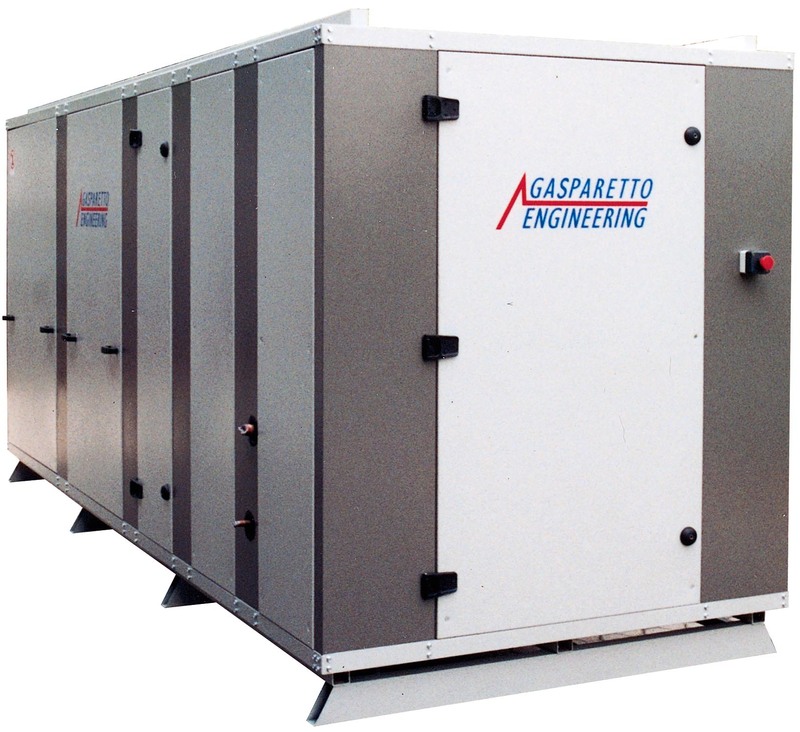 Gasparetto Engineering designs and manufactures highly customizable systems for industrial dehumidification. All machines are designed for particular environments, adaptable to special air conditions or special characteristics of the product. The DCEA heat pump industrial dehumidifier is used in the marble processing business area. Marble resin reinforcement process requires adjustable air’s temperature, in order to avoid the damage of some types of plates that can not withstand high temperatures. DCEA are configurable to work with temperatures from + 30°C to + 65°C, with relative humidity from 20% to 3.5%. The use of the heat pump, in replacement of the system with electrical heaters, also ensures a considerable energy saving on consumption. 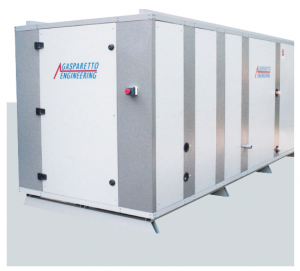 The DCS serie of industrial dehumidifiers has been specially designed to work in industrial painting environments, such as paint booths and all those industrial environments where indoor air needs to be constantly recycled and treated. 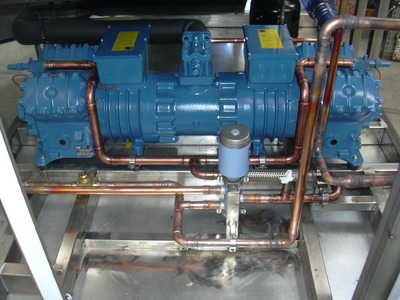 Alternative to the traditional chiller + boiler + air handling units system with a block that includes all the functions. The system is a heat pump direct expansion system, and allows significant energy savings. 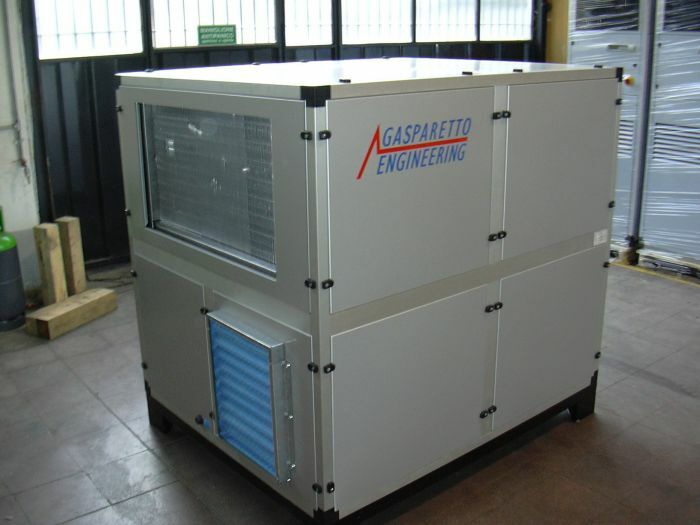 Gasparetto Engineering provides a service for the analysis of energy consumption of industrial production lines. The collaboration between our designers and the client allows the identification of the real needs, and the best solutions. The optimization of existing plants and equipments, with heat-recovery solutions, results in significant cost savings. The heat pump is within the systems of energy production from renewable sources (Directive 2009/28 EC). 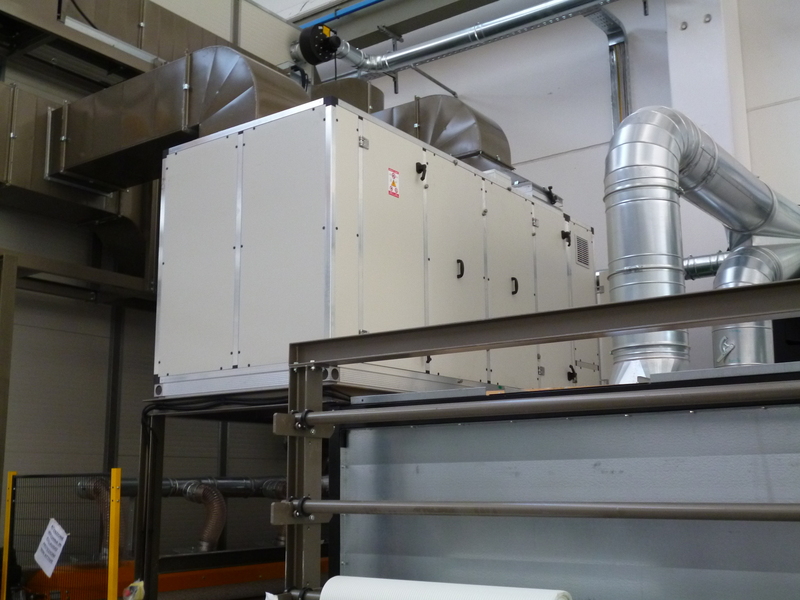 The use of Heat-pump, for heating and energy recycling, guarantees energy cost savings. 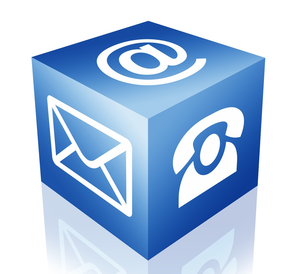 Using the most modern mechanical and electronic solutions, we create customized systems to meet specific user needs. 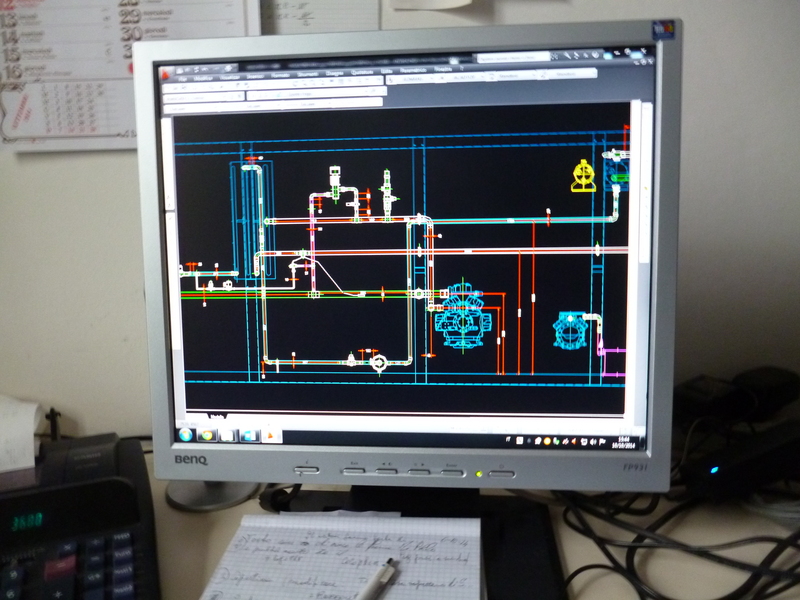 The machines are completely custom-designed; one of our engineers, in collaboration with the customer, identifies the real needs to find the best solution. I deumidificatori industriali DCEA a pompa di calore vengono usati per l’essiccazione a bassa temperatura di alimenti. L’impiego della pompa di calore garantisce un’alta efficienza energetica e la possibilità di mantenere bassa la temperatura del forno. Questo consente un migliore mantenimento di colore e fragranza del prodotto. I deumidificatori DCEA trovano largo uso all’interno di forni industriali (per trattamenti termici, asciugatura, essiccazione), con il vantaggio di consentire un controllo estremamente preciso delle condizioni dell’aria di processo. La Gasparetto Engineering progetta e realizza impianti di deumidificazione a pompa di calore per la stagionatura del legname. In indoor swimming pools dehumidification, keeping the right balance between humidity and air temperature is the critical factor. This task has high energy costs due to the evaporation of the bath’s water. 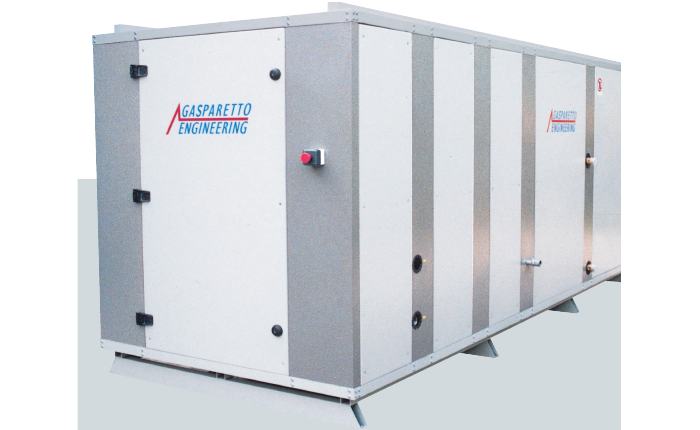 The Gasparetto Engineering has developed the swimming pool dehumidifiers DCE serie, a technological cutting-edge solution that allows to create an effective dehumidification process and, at the same time, heat the environment’s air and the pool’s water at zero energy cost. 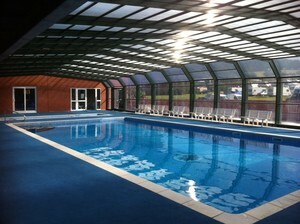 The special conditions of an indoor swimming pool environment allows the heat pump to function at its best performance. 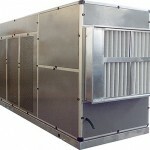 This leads to energy savings, especially if compared to the traditional outdoor air ventilation system. Deumidificatori industriali per il trattamento di tutta aria esterna. Unità monoblocco con funzioni di deumidificazione, postriscaldamento a pompa di calore, riscaldamento, umidificazione. Sostituisce il sistema chiller + caldaia + unità di trattamento aria con un monoblocco che comprende tutte le funzioni. Il sistema è a espansione diretta a pompa di calore, e consente importanti risparmi energetici. In questa sezione vengono illustrati i principi base della deumidificazione industriale. I capitoli, sfogliabili dal menù sulla sinistra, possono essere letti in sequenza come parte di un unico testo o in modo indipendente. Il paragrafo sei ripercorre gli argomenti delle sezioni precedenti utilizzando il diagramma psicrometrico come strumento per la visualizzazione grafica dei concetti. Queste note sono destinate a chi si accosta per la prima volta all’argomento. Gli esperti mi perdoneranno le semplificazioni e qualche ripetizione. A questo punto post-riscaldiamo la nostra aria, e la riportiamo a +20°C. L’aria, sempre con la stessa umidità assoluta (4,384 g di vapore d’acqua) ha un’umidità relativa del 30,18%. Dal punto A al punto B raffreddamento senza deumidificazione. Dal punto B al punto C raffreddamento e deumidificazione. Dal punto C al punto D post-riscaldamento. Riprendiamo l’esempio di prima, 20°C col 60%. 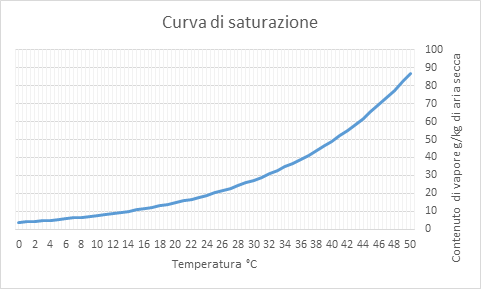 Andiamo lungo la verticale dei 20°C fino a incontrare la curva del 60%. Spostandoci verso destra alla fine del diagramma incontriamo la verticale dell’umidità assoluta, che ci dice che la nostra aria contiene 8,77 g di vapor d’acqua. Raffreddiamo ancora l’aria, fino a portarla a +2°C. Vediamo che il nostro m3 d’aria satura a +2°C contiene 4,384 g d’acqua. Ne avevamo 8,77, quindi gli abbiamo tolto 4,38 g di vapore d’acqua. I dati riportati sono verosimili e sono stati tratti dai dati di progetto di veri deumidificatori industriali. Se andiamo verso sinistra, incontriamo la curva di saturazione, che ci dice che la nostra aria a +20°C col 60% raggiungerà la saturazione alla temperatura di +12,01°C (punto di rugiada). Qui sotto abbiamo il diagramma psicrometrico completo. Oltre alla curva di saturazione – ossia umidità relativa al 100%, ossia punto di rugiada – abbiamo le varie curve di umidità relativa, di 10 in 10, fino al 100%. Il diagramma 1 che segue indica, per temperature dell’aria da 0°C a +50°C, la quantità massima di vapor d’acqua che può contenere un kg d’aria secca (curva di saturazione), ovvero la curva del 100% di umidità relativa, ovvero la curva della temperatura di rugiada. 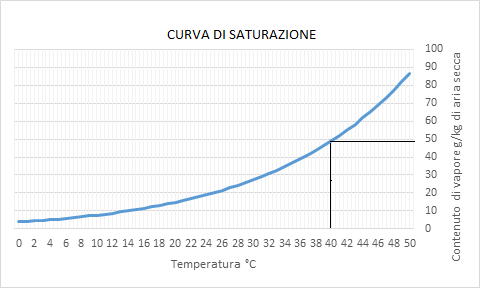 Il diagramma 2 evidenzia, per l’aria a +40°C, la quantità massima (49,14 g) di vapor d’acqua. Se riscaldiamo la nostra aria e da +2°C la riportiamo a +20°C, l’umidità relativa sarà di circa il 30%, l’umidità assoluta resta 4,384 g/kg. Ecco che il nostro kg d’aria a +20°C col 60%, che conteneva 8,77 g di vapor d’acqua (umidità assoluta), è ora a +20°C col 30%, con 4,384 g/kg di umidità assoluta. La deumidificazione industriale avviene raffreddando l’aria sotto il suo punto di rugiada, facendo così condensare parte del vapore d’acqua in essa contenuto. Riprendiamo l’esempio di prima: abbiamo un kg d’aria a +20°C col 60%, che contiene 8,77 g di vapor d’acqua (umidità assoluta). 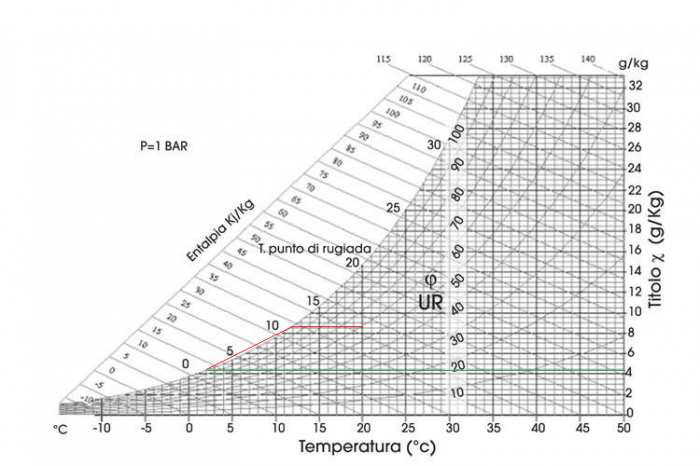 Raffreddiamo la nostra aria fino a +12,01°C. L’aria a questa temperatura, con 8,77 g/kg di vapor d’acqua, è satura, ha cioè un’umidità relativa del 100%. Questo è il punto di rugiada. Raffreddiamo ancora, andiamo sotto il punto di rugiada, portando la nostra aria a +11,99°C. L’umidità relativa resta al 100% ma l’umidità assoluta è diventata 8,76 g/kg. Abbiamo condensato, cioè trasformato da vapore a liquido, 0,1 grammi d’acqua. Abbiamo deumidificato il nostro kg di aria secca di 0,1 g.
Raffreddiamo ancora, questa volta scendendo decisamente sotto il punto di rugiada, e portiamo il nostro kg d’aria fino a +2°C. L’umidità relativa naturalmente non cambia, resta al 100%, ma l’umidità assoluta arriva a 4,384 g. Ne avevamo 8,76, quindi 8,76 – 4,384 = 4,37. Abbiamo tolto al nostro kg d’aria altri 4,37 g di vapor d’acqua facendoli condensare, ovvero rendendoli liquidi. 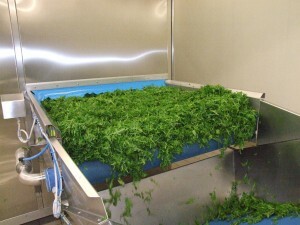 Quindi, per riassumere, siamo partiti con 1 kg d’aria a +20°C col 60%, cioè contenente 8,77 g di vapor d’acqua e avente un punto di rugiada di +12,01 e l’abbiamo raffreddata fino a +2°C togliendo 4,37 g di vapore d’acqua (facendolo condensare). Abbiamo ora 1 kg d’aria a +2°C satura (100% u.r.) contenente 4,384 g di vapore d’acqua. L’umidità assoluta è la quantità, in grammi, di vapor d’acqua contenuta in un kg d’aria secca. Essa non varia al variare della temperatura. Può aumentare solo immettendo nell’aria altro vapor d’acqua, e può diminuire solo togliendo dall’aria vapor d’acqua (deumidificazione). Ad esempio, un kg d’aria a +20°C col 60% contiene 8,77 g di vapor d’acqua (umidità assoluta). 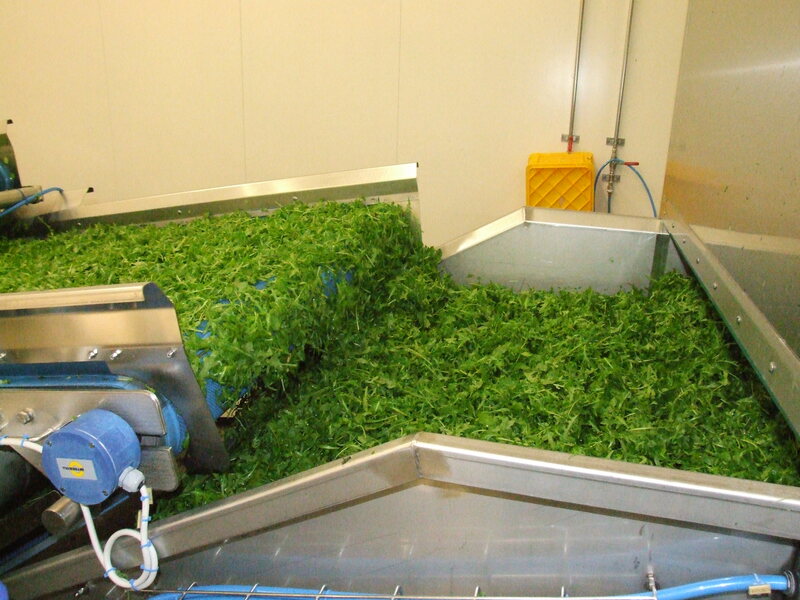 Se raffreddiamo la nostra aria portandola a +15, avremo un’umidità relativa dell’82,29% ed un’umidità assoluta di 8,77 g/kg. Se la riscaldiamo portandola a +50°C avremo un’umidità relativa dell’11,35% ed un’umidità assoluta sempre di 8,77 g/kg. La quantità di vapore che può essere contenuta da una massa d’aria diminuisce al diminuire della temperatura, ovvero al diminuire della temperatura aumenta l’umidità relativa. Ad esempio, se raffreddiamo una massa d’aria a 20°C con umidità relativa al 60% portandola a +19°C, l’umidità relativa arriverà al 63,85%. Se la portiamo a 13°C l’umidità relativa arriverà al 93,7%. Se la portiamo a 12,01°C l’umidità relativa arriverà al 100% (aria satura). Questa temperatura è detta punto di rugiada. Sotto questa temperatura il vapor d’acqua comincerà a condensare. Quando togliamo dal frigorifero una bottiglia di birra fresca, questa si ricopre di goccioline: è l’umidità dell’aria che condensa sulla superficie della bottiglia perché questa ha una temperatura inferiore al punto di rugiada. Nelle cucine e nelle stanze da bagno delle case non coibentate, nelle giornate fredde si forma, sulle pareti che danno all’esterno, dell’umidità. Questo perché l’aria di quegli ambienti è piuttosto umida, e, incontrando la parete fredda, raggiunge il suo punto di rugiada. Per impedire il fenomeno bisogna alzare la temperatura della parete sopra il punto di rugiada dell’aria oppure abbassare il punto di rugiada dell’aria sotto la temperatura della parete (deumidificando l’aria). Quando si parla di deumidificazione industriale, la temperatura di rugiada è usata come informazione completa che rivela più informazioni in un solo concetto. Deumidificatori industriali a pompa di calore per l’asciugatura di insalata di quarta gamma. I deumidificatori industriali DCEA trovano largo uso all’interno di forni industriali (per trattamenti termici, asciugatura, essiccazione), con il vantaggio di consentire un controllo estremamente preciso delle condizioni dell’aria di processo. 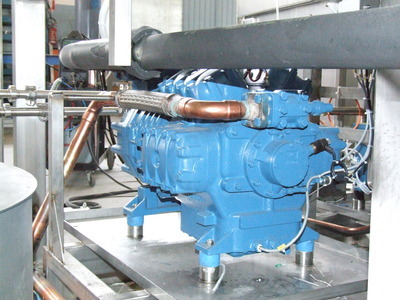 La Gasparetto Engineering progetta e realizza deumidificatori industriali a pompa di calore per la stagionatura del legname. La Gasparetto Engineering progetta e realizza macchine per la deumidificazione industriale altamente personalizzabili, adattabili a particolari condizioni dell’ambiente o a caratteristiche speciali del prodotto. Nell’ambito della lavorazione del marmo, in particolare nel processo di resinatura delle lastre, viene utilizzato un deumidificatore industriale DCEA a pompa di calore. Questo consente un asciugatura “tiepida”, regolabile da +30°C a +65°C, con umidità relativa dal 20% al 3,5%, eliminando così il pericolo di danneggiamento di alcuni tipi di lastre che non sopportano le alte temperature. L’impiego della pompa di calore, in sostituzione del sistema a resistenze elettriche, consente inoltre un notevole risparmio energetico sui consumi. Nelle piscine coperte, a causa dell’evaporazione dell’acqua della vasca, il mantenimento del giusto equilibrio fra umidità e temperatura dell’aria rappresenta il fattore critico ed ha alti costi energetici. 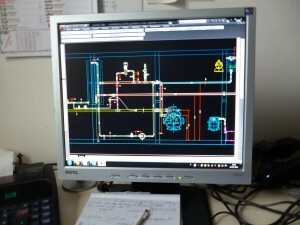 La Gasparetto Engineering ha messo a punto i deumidificatori industriali DCE, una soluzione all’avanguardia dal punto di vista tecnologico che consente di realizzare un efficace processo di deumidificazione ed al contempo riscaldare l’aria e l’acqua della piscina a costo energetico zero. • Deumidificazione dell’aria con la capacità di mantenere un livello di umidità dal 50% al 65%. Le particolari condizioni dell’aria di una piscina coperta consentono il funzionamento della pompa di calore alla massima resa, con risparmi energetici notevoli rispetto al tradizionale sistema di deumidificazione a rinnovi. 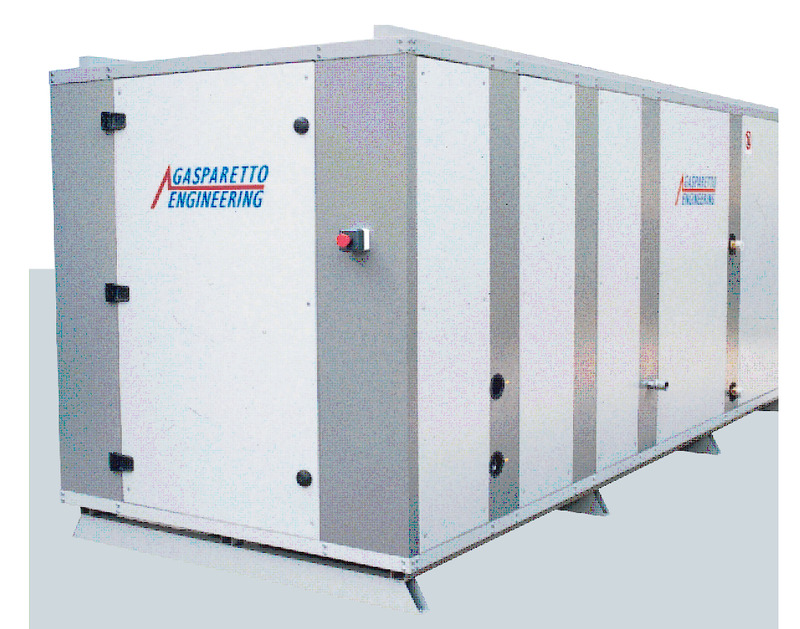 La Gasparetto Engineering da anni si occupa di progettazione e produzione di macchine per la deumidificazione industriale. La nostra esperienza e l’elevata skill tecnica ci consente di creare soluzioni su misura, studiate di volta in volta a partire dal problema specifico del cliente. L’approccio personalizzato e la progettazione su commessa permettono la produzione di deumidificatori industriali per qualsiasi portata e per qualsiasi applicazione. In questa sezione vengono illustrati i principi base della deumidificazione. I capitoli, sfogliabili dal menù sulla sinistra, possono essere letti in sequenza come parte di un unico testo o in modo indipendente. Il paragrafo sei ripercorre gli argomenti delle sezioni precedenti utilizzando il diagramma psicrometrico come strumento per la visualizzazione grafica dei concetti. Queste note sono destinate a chi si accosta per la prima volta all’argomento. Gli esperti mi perdoneranno le semplificazioni e qualche ripetizione. La Gasparetto Engineering fornisce un servizio di analisi dei consumi delle linee di produzione industriale, nell’ambito dell’asciugatura e della deumidificazione industriale. La collaborazione fra il nostro progettista e il cliente permette l’individuazione delle reali necessità, e di conseguenza, delle migliori soluzioni. L’ottimizzazione di impianti e macchinari esistenti, con modifiche che consentono il recupero del calore si traduce in notevoli risparmi economici. La pompa di calore rientra nei sistemi di produzione di energia da fonti rinnovabili (Direttiva 2009/28 CE). applicazioni industriali, con particolare attenzione al risparmio energetico. Realizziamo sistemi personalizzati per soddisfare specifiche esigenze dell’utenza. ottenere macchine che durino a lungo, senza problemi e con bassi consumi. Le macchine vengono progettate e costruite su misura; un nostro tecnico, in collaborazione con il cliente, individua le reali necessità per trovare la migliore soluzione. I deumidificatori industriali DCSH della Gasparetto Engineering sono unità monoblocco a espansione diretta con funzione di riscaldamento, condizionamento estivo e deumidificazione. Sono adatti per ambienti che richiedono particolari condizioni di umidità, difficilmente realizzabili con macchine di serie. Il DCSH trova impiego in quegli ambienti dove avviene la lavorazione e l’immagazzinamento di polveri o altri materiali igroscopici, come nelle industrie chimiche, farmaceutiche, alimentari, di produzione di detersivi. I deumidificatori industriali DCSH vengono progettati e costruiti su misura; un nostro tecnico collabora col cliente per individuare le reali necessità e studiare insieme la migliore soluzione. Vi aiutiamo a risolvere il problema.